Swirl marks or "swirls" are micro-scratches in your vehicles paint and clearcoat, usually caused by improper washing and drying techniques but also can be from "detailer" neglect. 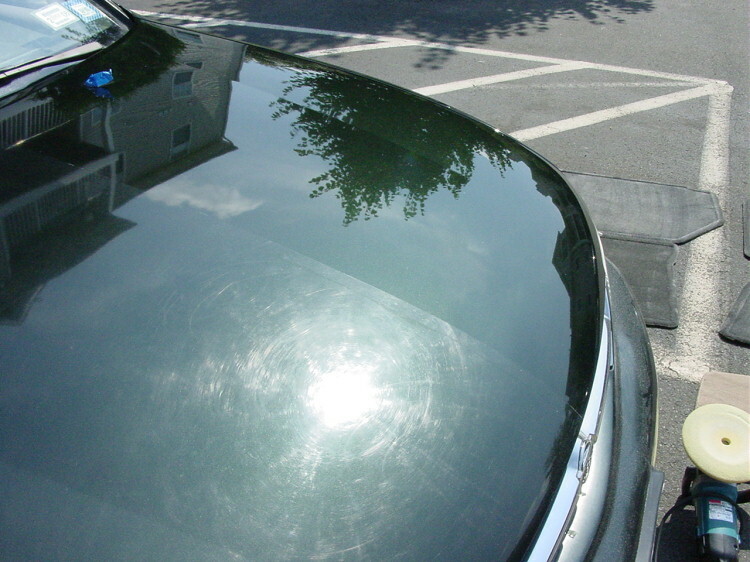 Typically these swirl-marks add up over time from automatic (or "swirl-o-matic") car washes. 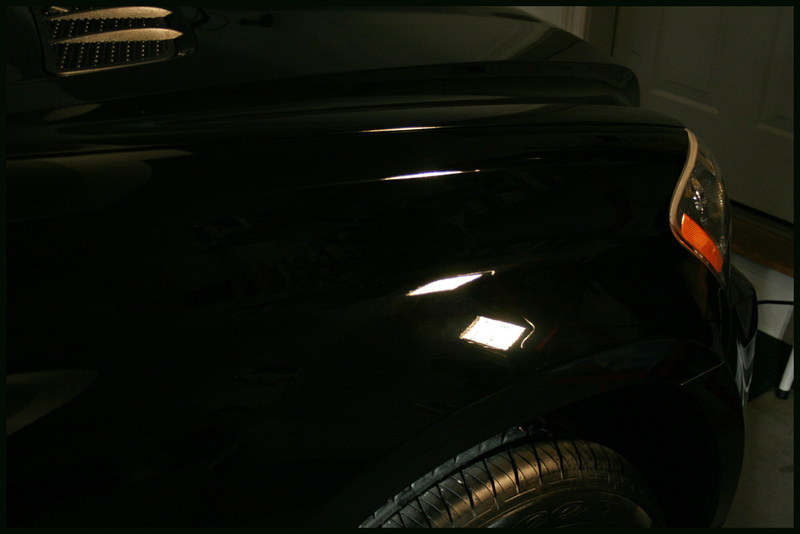 In the shade, the vehicle shows a lack of gloss and almost a hazy finish. To highlight this damage, you can use bright sunlight or gas station lights at night. Here, I am using a 500 watt halogen work light. The key to removing these horrendous looking marks is a multi-step process of compounding, polishing, and finishing with various foam and wool pads using a rotary, dual action, or direct-drive dual action polisher. Unfortunately, some marks are so deep that removing them would reduce the life of the paint too much. This ultimately becomes a trade-off and the use of a paint thickness gauge will help keep the process safe. Believe it or not, the paint you see here has moderate swirl marks. Not only are the swirl-marks, holograms, and light scratches removed, the paint is noticeably richer in color, wetter looking, and far more reflective. With the addition of a polymer paint sealant, the surface feels very slick and smooth to the touch. This virtually frictionless surface will provide the owner with a much easier vehicle to wash and dry, drastically reduced swirl-mark accumulation, and a stunning appearance. Here is a side-by-side comparison of severe swirl marks, marring, and scouring marks on the passenger side, and a compounded and polished surface on the right. I used painter's tape to mark the razor sharp line down the center. Notice on the damaged side-the dull, cloudy, and hazy appearance of what years of neglect will do. 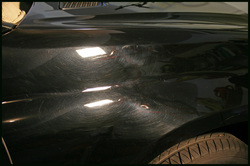 The compounded and polished driver's side has a notable improvement in clarity, depth, gloss, and wetness. The improvement is drastic and shows what proper products, processes, and patience can do to improve a vehicle's appearance.